This is going to be a very special concert for us as it is our 100th concert celebration. Following a tradition which has lasted over a decade, we conclude the 2017-2018 season with our favorite pair of musicians; Eric Halen (Co-Concertmaster of the Houston Symphony) and Scott Holshouser (Principal Keyboard of the Houston Symphony). 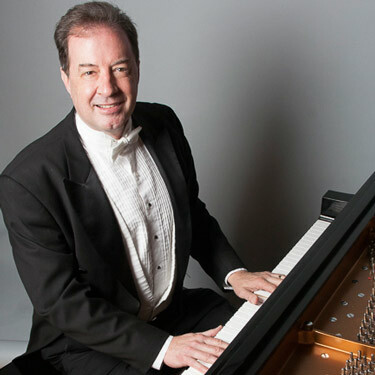 Eric and Scott's recitals at the Woodlands Salon Series have consistently drawn some of our largest audiences. But as this is our 100th concert, we are going bigger. 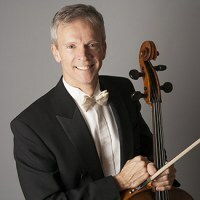 Eric and Scott will be joined by Houston Symphony Associate Principal Cellist Christopher French to provide a concert designed for this special moment. The first half of the concert will consiste of beautiful, traditional chamber music. The second half will feature short, exciting pieces appropriate for this special celebration. Since this concert is on a Sunday, we will be starting one hour earlier than normal; appetizers and wine being served at 6:30 and the concert starting a bit after 7:00. Ticket are $25.00 for adults / $15.00 for students, ($30.00/$20.00 at the door). The Woodlands Salon Series has received its 501(c)3 status. Effective 7/30/2014 all donations are tax deductible. If you cannot make the next concert, but would like to add your name to our E-mail list for notifications of future concerts, please click on the link below. We email the formal invitations to each concert approximately three weeks before its scheduled date. We are pleased to announce our 2017 - 2018 Woodlands Salon Series concerts. We have lined up six concerts featuring an array of incredible musicians. Click Here to see the detailed description of the 2017 - 2018 season. The 2017 - 2018 season.